The greatest invention in the history of mankind! Have you heard of Leonardo Da Vinci, Alexander Graham Bell, Thomas Edison and Archimedes? All morons compared to the inventor of what I saw the other day! I don’t know the name of the person, or people, who are responsible for this invention but they should get some kind of ‘greatest inventor ever’ award. If you haven’t seen these yet, when you see them and use them…you will agree with me. 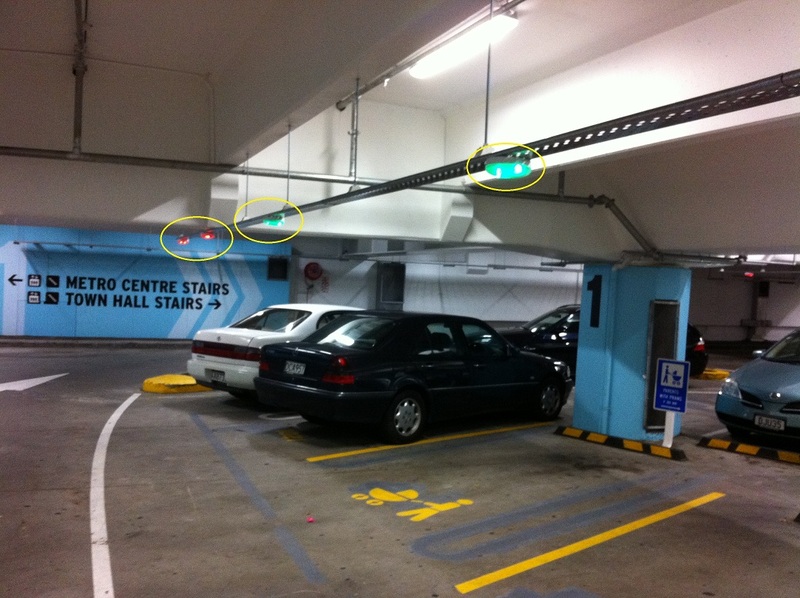 I’m talking about the indicator lights at Auckland’s Civic Carpark, if the light is red, there is a car in the spot, if it is green, it’s free. Now for those people who do not frequent large parking buildings you’ll be wondering what all the hubbub is all about, trust me, to be able to look down a line of parked cars and see one free space before turning in…is orgasmic. Just see how easy it is here to spot a free park by the green lights. 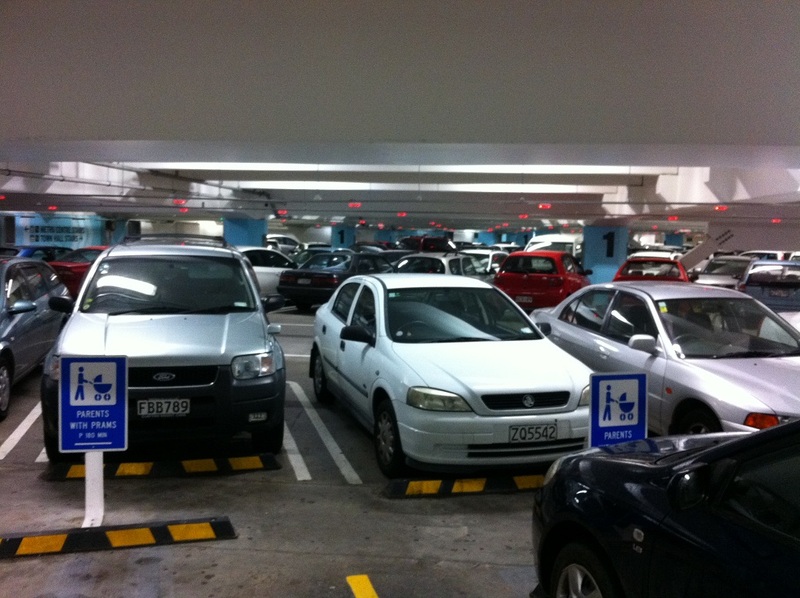 I can see a spare park or two! Whoever you are that thought of this idea, I salute you! They have those in Australia – totally agree that it’s fantastic! I love it. Never seen them here, they should implement them.